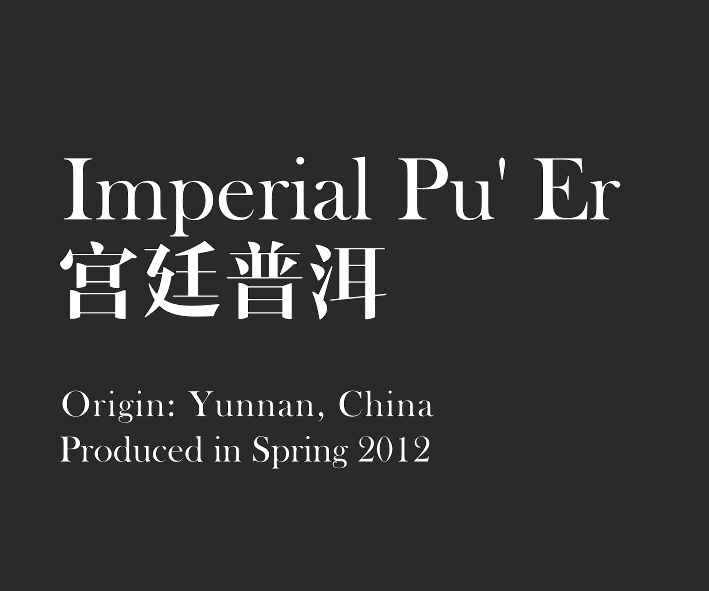 Our Imperial Pu'Er (宫廷普洱) is a high grade fermented form of Pu'Er tea. Sourced from Yunnan, China, the tea is pan-fried, rolled and dried before being compressed and stored naturally. Harvested in Spring 2012. Tasting Notes: Woody, earthy, fragrant, smooth and mellow after taste. Note that all brewing tips serve as a guideline. Please feel free to experiment the brewing duration and serving size to explore your preferred brew strength and flavour!